The MTV Unplugged version of About a Girl was one of my favorite songs back in my Nirvana era, and if you’re reading this, I’m sure you agree. It is a great combination of acoustic rock, pop and grunge, all meshed together into a single genre, which sounds great on both acoustic and electric guitars. Our About a Girl guitar lesson will teach you how to play the entire song, from end to finish. After loging in, you'll also have access to the songs backing track, so make sure you play along with that as well. So, on to a short review of the lesson. The cool part is that the parts to this song are all repetitive, so there are only 3 sections to learn, the verse, chorus and solo. The verse to About a Girl also acts as the intro and outro, and is made up of 2 simple chords, which you’ll be strumming with a set strumming pattern. The chorus is somewhat more challenging, since it uses power chords all across the neck of the guitar. You’ll be strumming these power chords, adding muted strums and ghost strums at times, so beginner guitarists might have some trouble with this part of the song. Listen to me playing it in the lesson a lot, and make sure your strumming arm keeps moving with the rhythm, that is very important! The solo to About a Girl is pretty simple as well, it is a 2 bar repetitive solo which you’ll be able to learn in no time at all. About a Girl was released by Nirvana in 1989, on their very first album, Bleach. The MTV Unplugged version was also released as a single in 1994, after Kurt Cobain’s death. The live version became more popular than the original, and is also included in Guitar Hero World Tour. Kurt Cobain wrote this song about his then girlfriend, thus the title, About a Girl. The song is actually about the troubled parts of their relationship. This is not so evident from the lyrics though, but if you read it again within this context, you’ll notice. Sorry, but you've reached a premium content area. The download of the About a Girl tablature file is only available to premium members. Sorry, the same goes for the backing track. To download the backing track to About a Girl, please log in and revisit this page. Great lesson! I’m struggling with the C# G# F# portion of the song. For each of those notes, I’m seeing three X’s on the finger diagram. So, am I really only supposed to play 3 of the 6 strings? This is somewhat challenging. I guess practice makes perfect? Thanks! Hi there, yes, you play 3 of the 6 strings, or even just 2. The lower pitched 2. 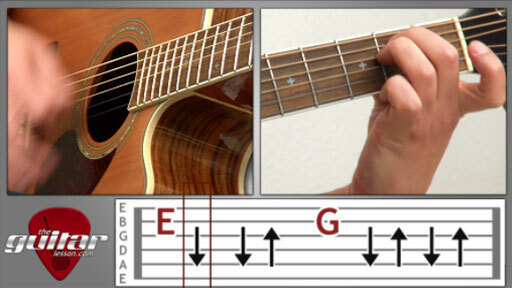 These are power chords, so you need to mute the rest of the strings with your fingers.